BODILY INJURY. WHAT TO DO? After an accident, a victim wants to recover and do everything he did before the accident as soon as possible. Luckily this is possible in most cases. The period after an accident is full of uncertainty. That’s why we think it is important that there is one thing a victim does not have to worry about, a quick settlement of the claim. THE VICTIM KEEPS CONTROL OVER HIS OWN LIFE AND RECOVERY! By using mijnclaim.com the victim gets to keep as much control as possible about his own life and recovery. The victim enters most of the data into mijnclaim.com himself and as an insurance company you check whether or not it was done fair and correct. MijnClaim is a platform for bodily injury claims and helps to automate the claims process. However, it is still very important to have personal contact with the victim. All parties involved are able to see what the status of the claim is 24/7. We believe that it is important to actively assist a victim during the recovery and claim process, so they know what to expect. By taking away the uncertainty, we have notices that people recover faster. 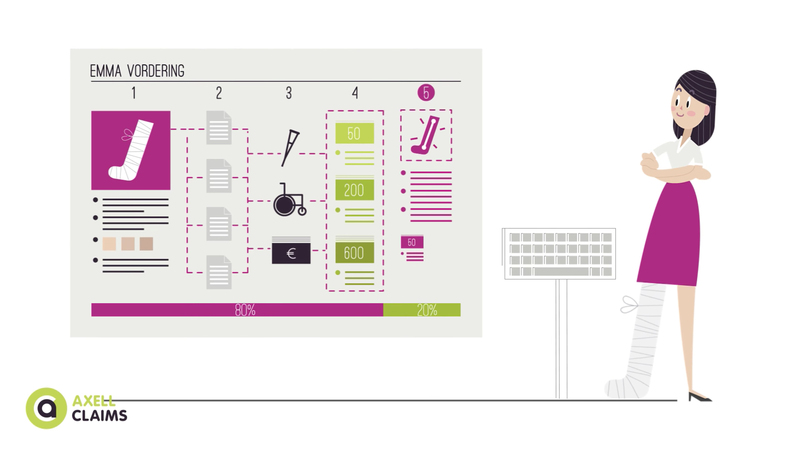 Over 15.000 people were helped conform the Axell Method with use of the MijnClaim platform during their recovery and the settlement their claim. Many victims have experienced the positive effects of our method and the convenience of our platform. They rated us with an 8,4! OUR SERVICE TEAM HELPS YOU! We believe that personal contact after an accident is very important, so the victim does not feel alone. That’s why we think it is best if a victim gets assigned to a personal claim mediator who will advise and coach him during the recovery period. 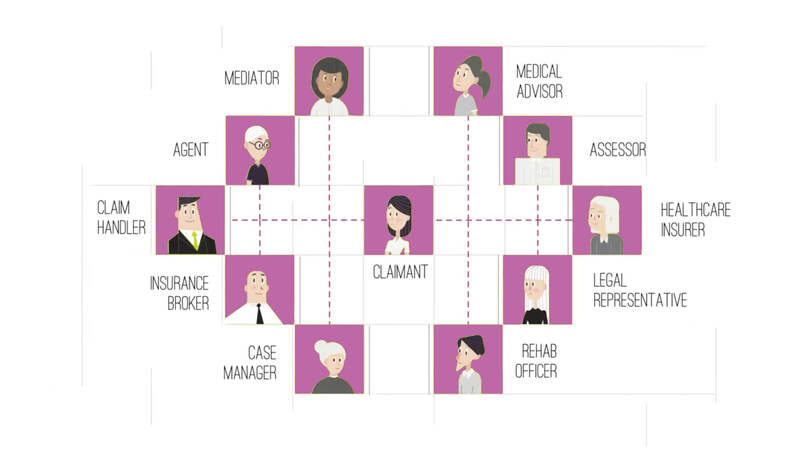 Another important element to make working with MijnClaim a success is to not only focus on the financial damages, but also on the practical effects and questions that are connected to recovery. MijnClaim keeps track of the claim by sending out reminders every four weeks to stimulate contact with the victim. Of course the victim is also more than welcome to contact his claimmediator whenever he feels necessary. Would you like to have more information about the MijnClaim platform?